For over 20 years Direct Systems have been building a reputation of trust and expertise in all aspects of aerial and satellite installations and repairs. 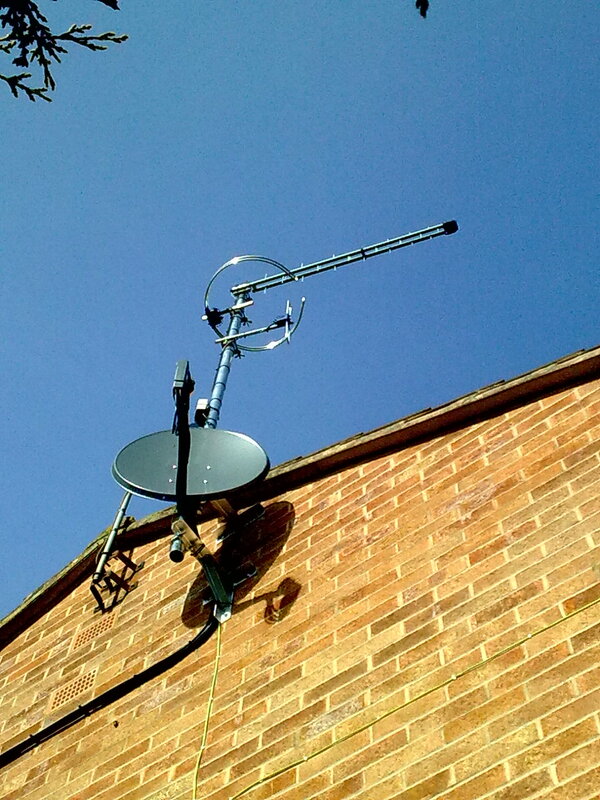 Whether you require a new installation or If you are having problems with your current aerial or satellite reception, call us. Our professional installers are experts in the installation, servicing and repairing of TV reception issues, they understand the importance of having the best working signal at home for your Digital, SKY or Freeview box. All of our local engineers are skilled in the aerial installation industry. They promise to help you make a well informed choice as to which solution will best suit your domestic needs. Above installation of aerial and satellite rig in Chesterfield supplying 6 flats with Digital tv and satellite, also comprising of a DSCR switch to allow intergration of Sky Q with out the need of a extra dish.